Colt International is a fast growing company that essentially facilitates executive air travel on private jets nationally and internationally. 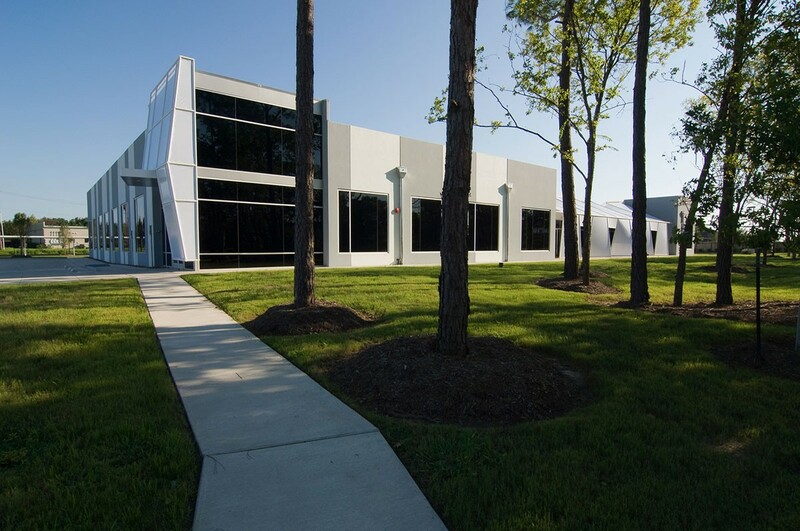 The company outgrew its start up space and purchased an economical infill site in an older office park. 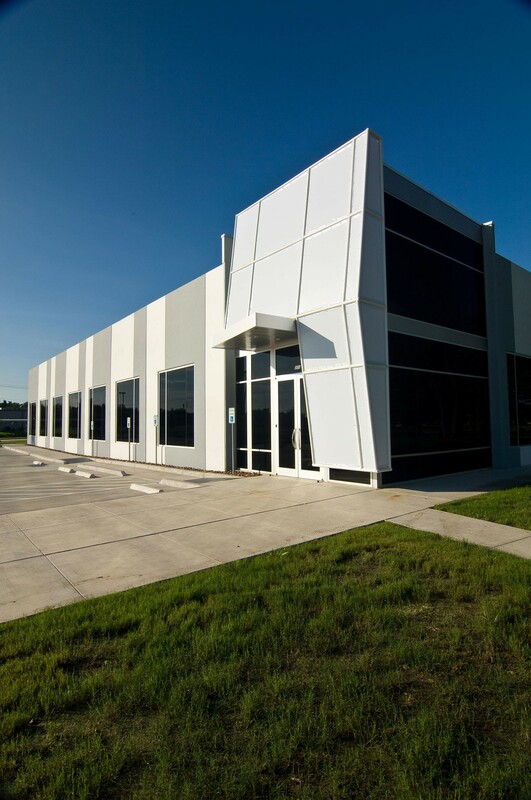 Colt is run by two owners, each emphasizing a particular aspect of the business. Malcolm oversees the area of the business that monitors flights: plans routes and tracks progress of the planes. Joel leads the firm’s general support including applications for permission to land, passport / visa issues, fuel purchase agreements, etc. The organization of the building directly indexes this structure. 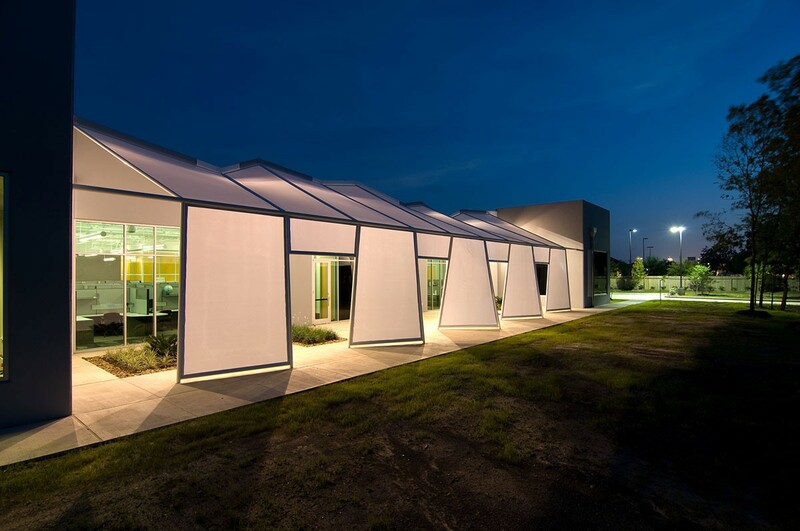 Two rooms holding the collective aspects of each business programs are formed by an “S-shaped” bar that includes general support spaces. Each room is sized according to the number of employees and is lit according to the employee functions- flight monitoring is the smaller group and takes advantage of daylighting and artificial light for the 24/7 hour operation. Exposed metal deck ceiling with skylights provide much of the open office areas’ daylighting and linear pendant fixtures supplement the remaining lighting needs. 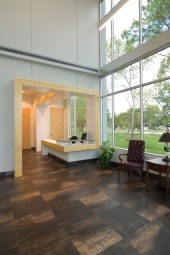 A sound-masking system was utilized in the open office areas to reduce sound transmission between cubicles. The two rooms have appropriate access through oversized windows to exterior views that highlight the typical conifer trees of the coastal plain in which the building resides. The windows are screened by canvas awnings distorted to evoke the skin and frame of early planes – an interest of both owners. 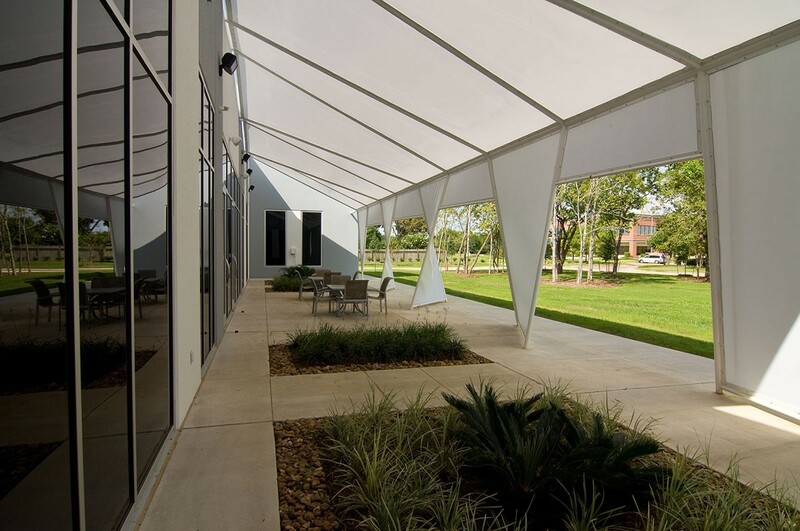 These awnings create an outside interstitial porch landscape for employee use.